Created by a young Jean-Honoré Fragonard (French, 1732–1806) during his first and most important stay in Italy in the mid-18th century. These exquisite works document Fragonard’s voyage to see the great artistic treasures of Florence, Bologna, and Padua, among other cities. 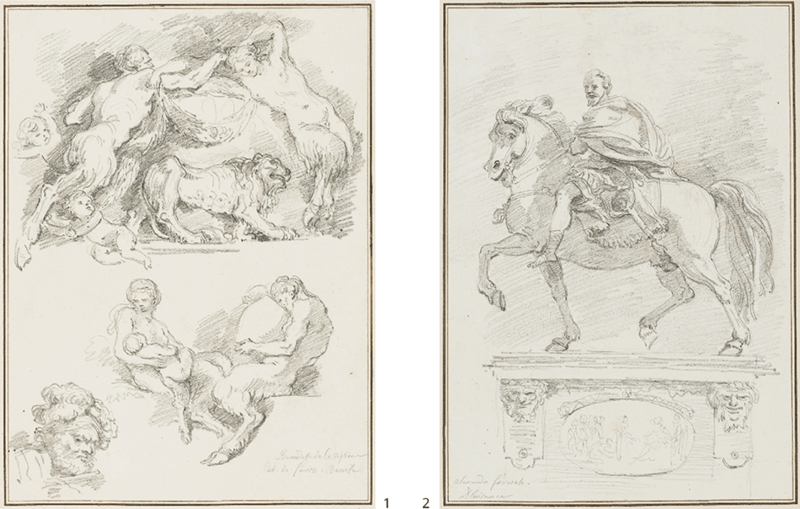 Fragonard’s Enterprise exhibition explores the excitement of this expedition, the documentary and practical value of the drawings, and their history following publication, especially as they were treasured by later collectors. 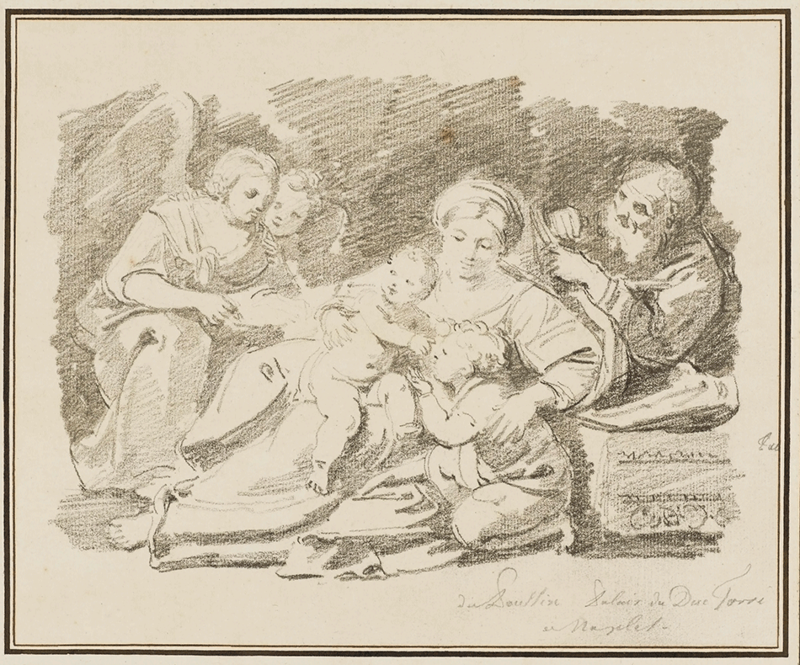 Before Fragonard ascended to the ranks of one of the 18th century’s most popular painters, he studied at the French Academy in Rome, where he practiced the fundamental art of drawing as a method to hone his skills and to establish his own unique style. In Rome, he encountered his first patron, Jean Claude Richard de Saint-Non (1727–1791). 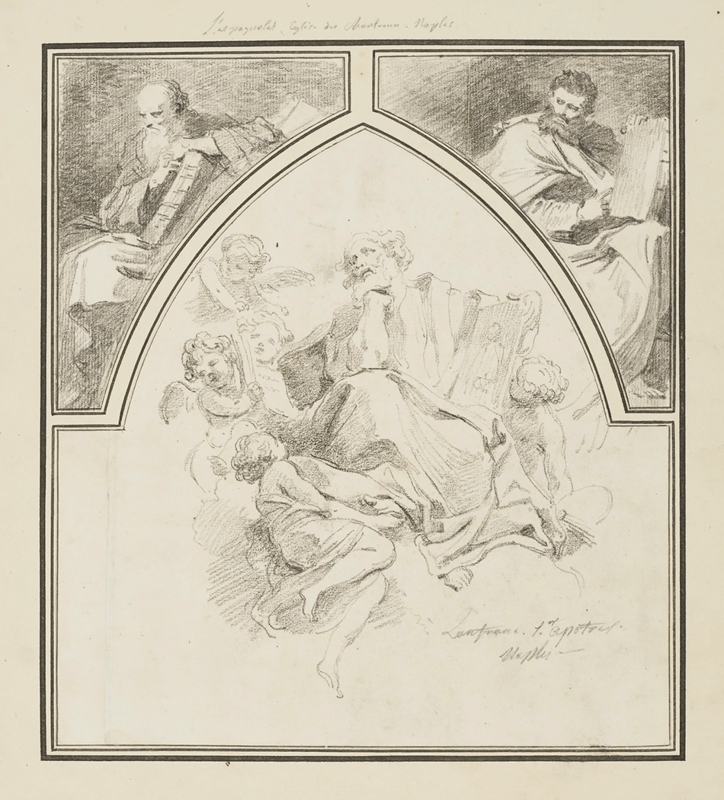 A passionate advocate of the arts, Saint-Non was an eager participant in the Grand Tour, the educational pilgrimage to Italy then in vogue throughout Europe. His voyage, made from 1759 to 1761, inspired him to chronicle this experience for an audience that shared his fascination with the peninsula. 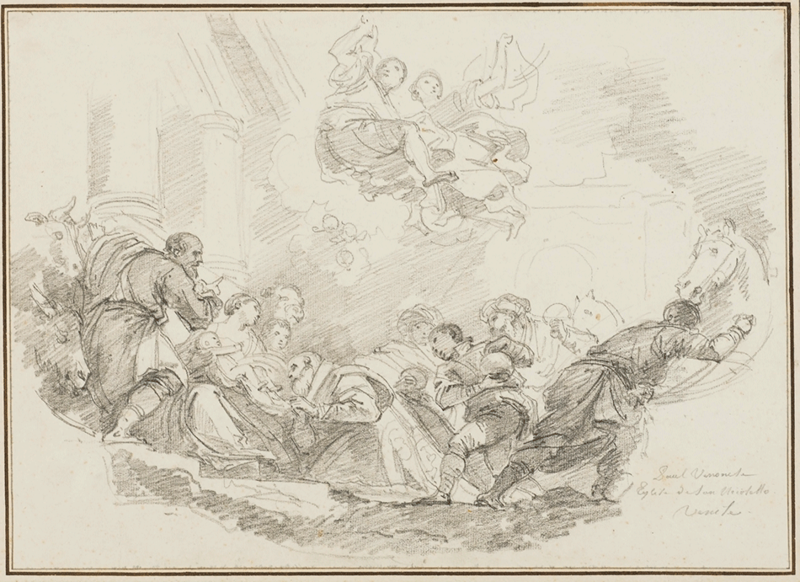 Saint-Non invited the young Fragonard to join in his tour through Italy’s illustrious cities. 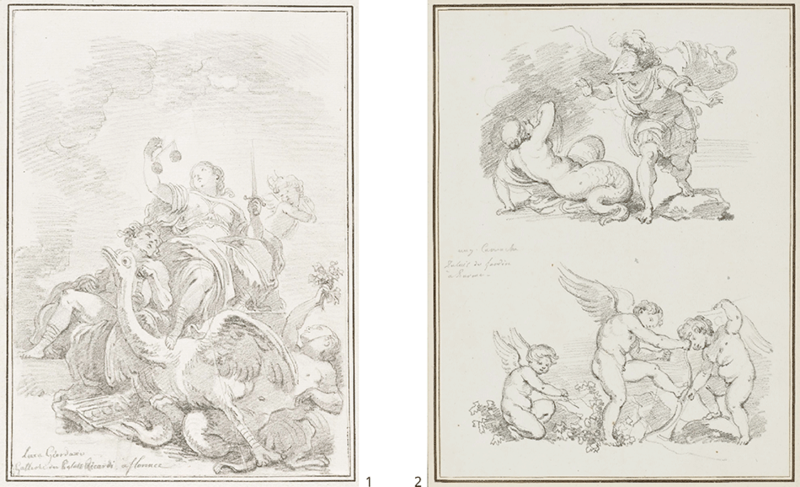 In exchange, Fragonard was tasked with making copies after the important paintings and monuments to be seen in the churches and palazzi. 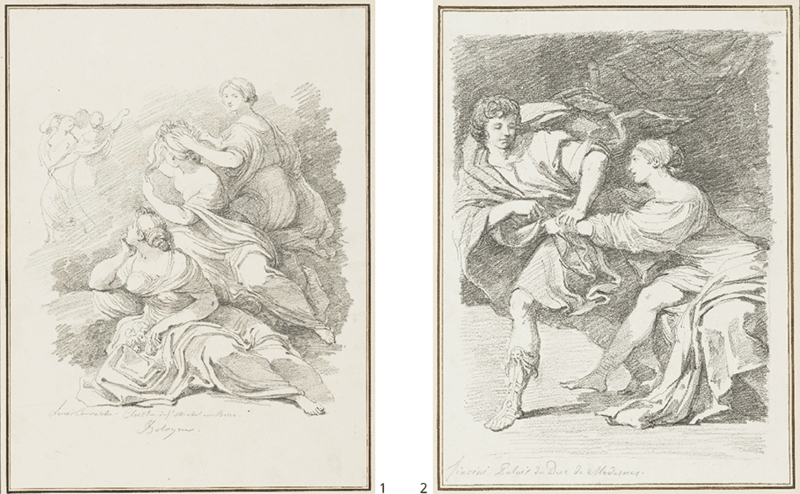 The black chalk drawings Fragonard produced for his sponsor served as source material for Saint-Non’s engravings and aquatints, which were published in suites, and in his illustrated travel book Voyage pittoresque de Naples et de Sicile (1781–86). These immensely popular publications served as barometers of taste for the arts, and as beloved reminders of the masterpieces visited. Enthusiasm for classical antiquity and Neapolitan Baroque painting drew many tourists to Naples. 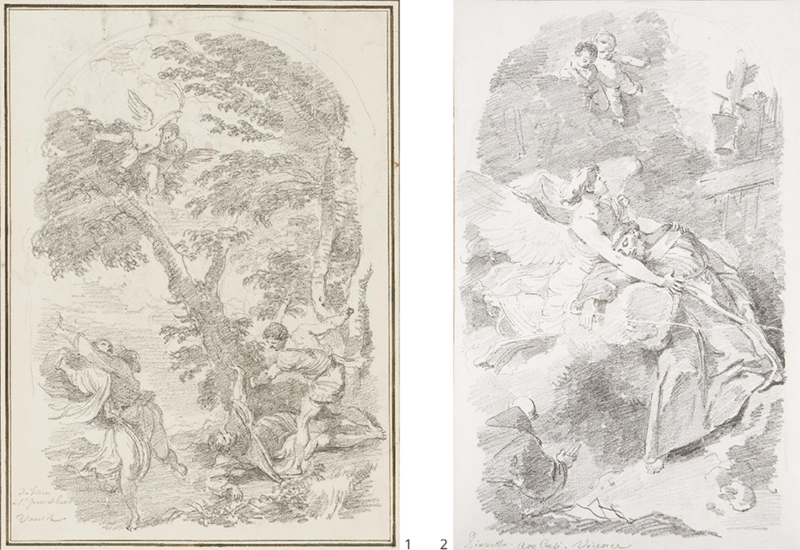 Saint-Non enjoyed multiple visits to the city, and during Fragonard’s visit in March 1761, he created inspired copies after the masterpieces he visited in private and public spaces. Occasionally he combined subjects from different locations on one sheet of paper. On the same sheet, Fragonard flanked Luke’s figure with two prophets that caught his attention at the Certosa di San Martino, painted by the Spaniard Jusepe de Ribera. The result of this imaginative pastiche is so fluid that few would suspect it was a combination drawing. With its sunlit canals and magnificent architecture, Venice proved irresistible to the Grand Tourist. Fragonard and Saint-Non passed more than a month there. Inspired by Titian, Tintoretto and Veronese, the French artist produced lively, free-spirited copies, as evidenced in his Study after Paolo Veronese’s Adoration of the Magi, 1582, from the Church of San Nicolò della Lattuga ai Frari. 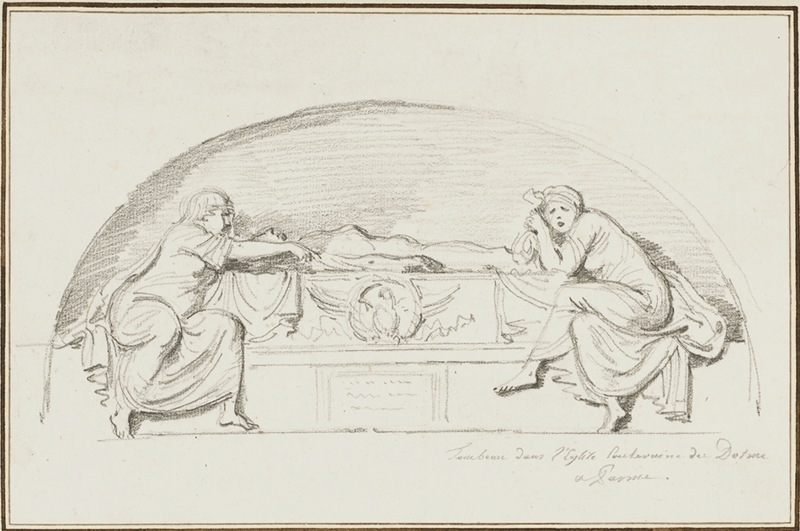 Fragonard shifted Veronese’s vertical format to a horizontal one, and deemphasized the architecture to concentrate on the rhythmic interweaving of the figures that he must have admired in the original. 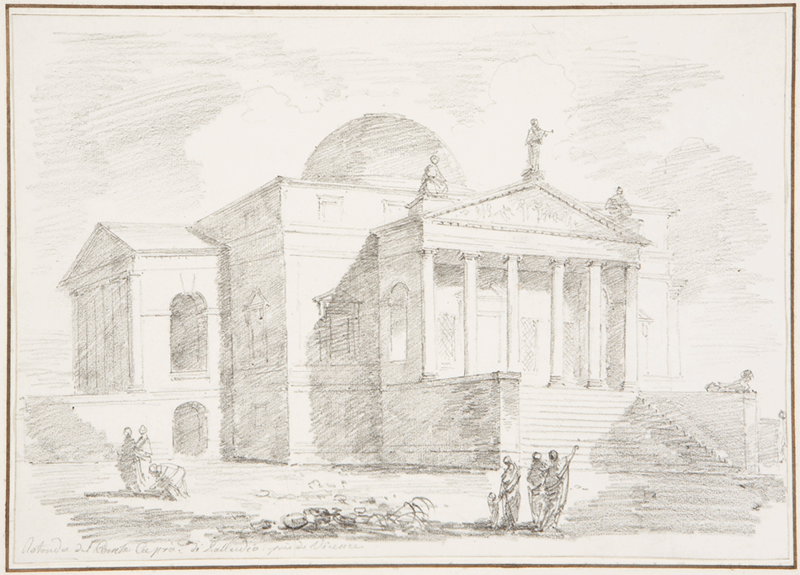 As tourists flocked to Italy in ever-growing numbers in the 18th century, they increasingly sought advice, recommendations and reflections on the Grand Tour experience. 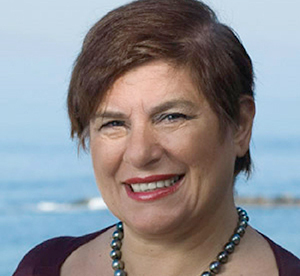 As Europe’s lingua franca, French dominated the Italian travel-account market. Over fifty travel narratives were published in French, many appearing in multiple editions. This lecture highlights the most popular of those accounts, or voyages, and their strategies for acquiring pleasure and knowledge on the Italian Grand Tour. 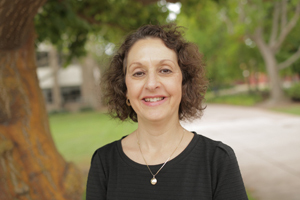 Date: Saturday, October 24, 2015, Time: 1:00 pm – 2:00 pm, Speaker: Educator, Type: Tour. Monday, 12:00 p.m. to 5:00 p.m. Tuesday Closed. Wednesday, 12:00 p.m. to 5.00 p.m.
Thursday, 12:00 p.m. to 5:00 p.m. Friday, 11:00 a.m. to 8:00 p.m.
Saturday, 11:00 a.m. to 8:00 p.m. Sunday, 11:00 a.m. to 5:00 p.m. Phone: 626.449.6840, 411 W. Colorado Boulevard, Pasadena, CA 91105-1825.